You’ve decided it’s time to give yoga try. 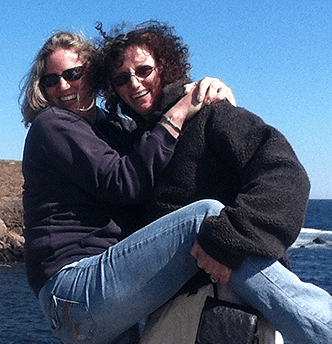 You know there’s huge health benefits, including reducing your stress, Now it’s time to make yourself a priority and shut down the noisy kids, nagging boss, and demanding spouse for a little while. You’ve picked the yoga style that seems most appealing to you. Now it’s time to get your yoga gear in order so you’ll have the right equipment and start your yoga experience off comfortably. Sisters Know Best has put together a list of the gear you need to get to your first yoga class. First things first, you’ll need a yoga mat. Many studios may offer mats for loan, but you’ll want your own. Plus, they come in so many colors and patterns that it’s a lot of fun picking one that shows off your personality. Having a yoga mat you love makes it fun to go to class even on those days you’re not feeling completely motivated. And having your own yoga gear just feels good! Even rolled up, carrying a yoga mat can be difficult. They’re a bit bulky and awkward to handle. With a yoga mat strap, you can sling your mat over your shoulder like a purse or messenger bag and keep your hands free. We love this easy to make DIY yoga mat strap from Skip to My Lou. It’s really simple. All you need is some heavyweight fabric in the pattern and color of your choice, coordinating thread, and basic sewing machine skills. Following her measurements and directions, you make two loops which will go around your yoga mat at the top and bottom and a long strap piece to connect them. If you’re a master with cutting and pinning and a whiz on the sewing machine, the DIY yoga mat strap will take you less than an hour. You can easily have it ready for your first yoga class and look very yogic with your personalized yoga gear! Believe it or not, you’re going to get thirsty. Yoga, though relaxing, is also a workout. It’s a good idea to have a water bottle on hand. We suggest something plastic (safe plastic, that is!) or metal so you don’t have to worry about it breaking if it gets knocked over during class. 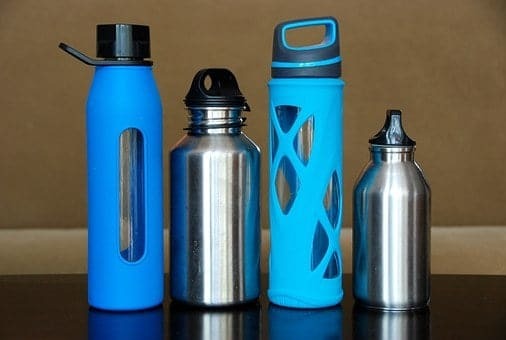 Also consider features like no slip bottoms or a flat side to keep your water bottle from rolling away if it gets knocked down. 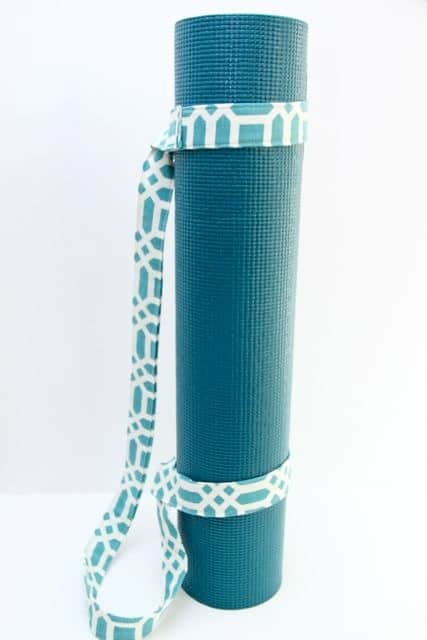 For fun, pick a water bottle that compliments the colors and designs in your yoga mat and strap. For the price, we love this one. Although it’s not necessary to have the latest lululemon fashions, you do want to wear clothing that’s appropriate for yoga. Leggings, stretch pants, or loose sweats are a good idea as they give you the freedom to move without restriction. For the ladies, you’ll want a sports bra. Baggy t-shirts may seem like the way to go, Ladies, but they’ll flip up when you’re in certain poses. And, Guys, you don’t need a cup, but we’ve heard boxer briefs or briefs are a good way to go. You can try it and let us know! During class, you may need blocks or bolsters to help you get into poses or a blanket to stay warm during shavasana (the final pose in most classes). You can certainly buy and bring your own, however, most studios will have a large supply of these on hand for students. Contact the studio beforehand to be certain. 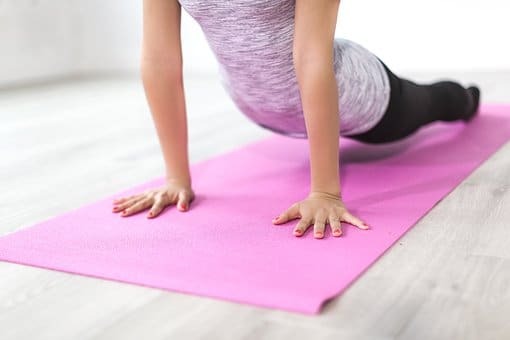 If you do decide to buy this type of gear, you may also want to consider purchasing or making a yoga bag in which to carry all your yoga gear. When you decide to make one, check out this 10-minute DIY t-shirt bag. Now that you’ve got your yoga gear in order, you’re ready to jump in and try yoga. Let us know how you liked it! Namaste. These yoga mats are awesome!